Cory's opinions about the current state of information and the internet are extremely well-informed and provide a different viewpoint than I've seen reflected elsewhere. Thanks so much for sharing your thoughts with all of us! Cory's got something. It's not easily quantifiable, but rarely are the great things in life. I wish that the technology for podcasts and the prevalence of acceptance for delivering your work in this fashion were around when Asimov was writing or when Octavia E. Butler first came onto the scifi scene. To be able to put Cory's stories into the context of his life, to hear them from his own mouth, and to ocassionally hear him self correct a grammatical error is priceless. I find it invaluable to hear these stories at the stage in which they are presented here. This podcast is the future. I love Cory Doctorow's thought provoking stories. His presentation, while sometimes interrupted by flubs-and-corrections, is just fine. I am more interested in the words, and I don't care if sometimes there are a few blips in the presentation. He never said he was a professional voice actor; he's a professional writer, dammit. I am so looking forward to each and every episode of this show. Thanks for all the effort you clearly put in to your podcast. I enjoy hearing your stories read-aloud, and I'm always interested in what new things you might be up to. I enjoy your novels, short stories, and am usually supportive of your causes (usually before you bring them up... but it's good that you're doing that, because some people don't stay up to speed on privacy, copyright, etc...) Keep up the good work!! I'm looking forward to the next novel! 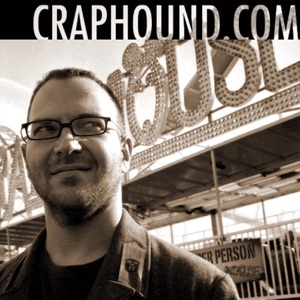 Cory Doctorow is my favorite author and I was really excited by this podcast. I have all of his books, but there were still a lot of his short stories I haven't read. This podcast gives me a chance to listen to them all during times when I wouldn't be able to read-like in the car or while walking. I really admire the fact that Cory makes his books so easily accessible with Creative Commons. Even though I could go and get the text online for free, I enjoy listening to him reading the stories and his little talks at the beginning of each podcast. Cory's stories are quite readable and very enjoyable. The podcasts, however, are quite disappointing. This is a prime example of why an author should not read their own work. The misreads, pauses, gulping, drinking and general clatter in the background are distracting and take away from the enjoyment of the story. I liked listening to this while driving, and I'm looking forward to the other stories.